So this recipe I whipped together (pun fully intended) a couple of days ago after picking up this really cool Mousse cookbook. I am a huge mousse and whipped cream fan and decided to learn how to make it on my own. This recipe is a hybrid between them both so if you're a sweet fan, you will definitely love this and it's super easy to make. Start by cutting the strawberries into small pieces. Put the cut strawberries into a bowl and mix in the lemon juice and granulated sugar. Once this is fully mixed together, put it into the fridge for about 10 minutes. Keep whipping until you see the cream becoming a solid mixture. Once this happens, take your strawberry mixture out of your fridge and fold it into the cream mixture. Whip again until you get your desired mousse texture. And there you go! 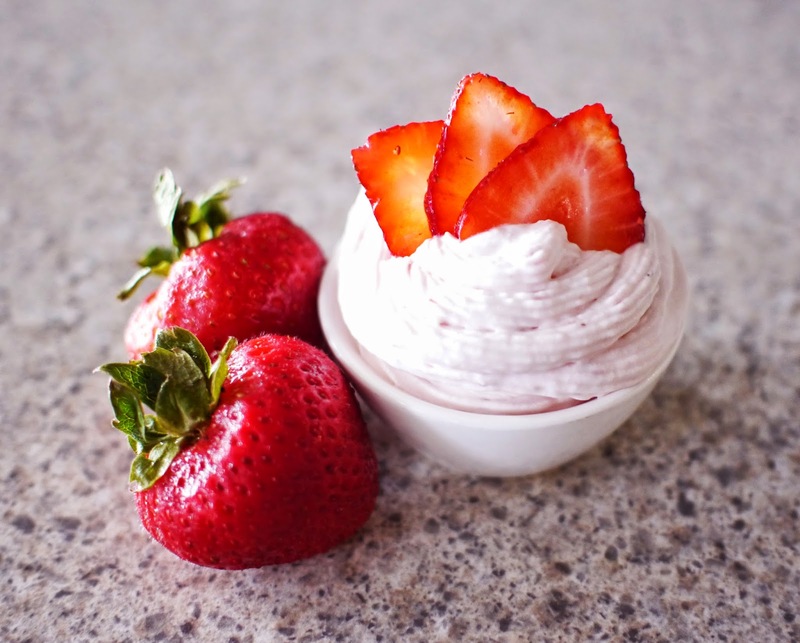 Whipped strawberry mousse! You can also garnish it with whatever you'd like. I recommend chocolate sauce, sprinkles, strawberries or bananas.